The Classical Temple at Ripley Castle was built in 1818 for Sir William Amcotts Ingilby. The tower contained a pond that was stocked with freshwater eels to provide a supply throughout the year. Sir John Ingleby (1434-1499) built the gatehouse to Ripley Castle. It was retained after the house was rebuilt in 1780. The Icehouse at Ripley Castle is near to the Classical temple. The game larder at Ripley Castle was originally built in about 1720 and has recently been rebuilt together with the brewhouse as estate offices. The Palm House at Ripley Castle was built for Sir Amcotts Ingilby in 1817. 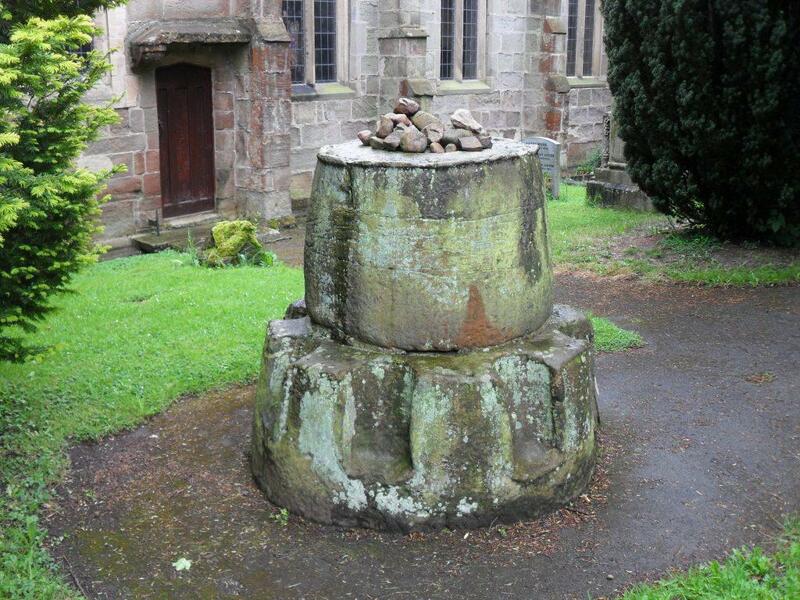 The cross may have been on the site when the Church of All Saints, Ripley and it was either built at the end of the 14th century or moved there at that time. It is thought to be have been made for penitents to kneel or put their bowed heads in the recesses.